Subways & metros cost a lot of money to build and operate. 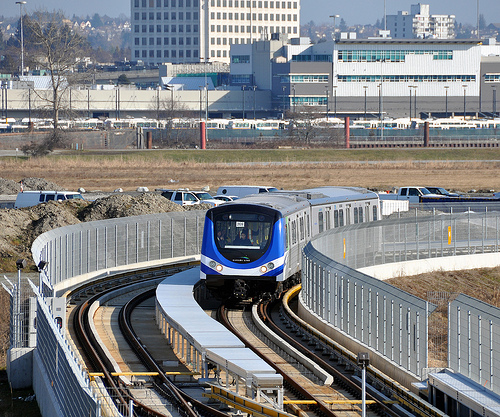 The cost of the Canada Line is now understood to be over $2.5 billion, with some estimates as high as $2.8 billion. The article illustrates the problems with automatic (driverless) transit systems is that when problems arise, service suffers. When metro stems stops it greatly inconveniences customers, many of whom have to make transfers to buses to complete there journey. It is inexcusable that such a problems is plaguing the Canada Line and when a transit systems operates erratically, customers look elsewhere for their transportation needs. Read, they will take the car instead. The Canada Line’s operators are trying to get to the bottom of an issue that’s plagued the $2.1-billion system this week. Commuters at the rapid transit line’s Richmond stops were left frustrated during Wednesday and Thursday’s morning rush hour, and again on Sunday evening when trains unexpectedly stopped between the Aberdeen and Lansdowne stations. PROTRANS BC’s Jason Chan said sensors on the car are detecting a loss of traction but engineers haven’t been able to determine whether the problem is mechanical or simply an electronic glitch. Whatever the cause, the issue has forced trains to run on a single track instead of the usual two. That’s meant delays for people looking to get in and out of Richmond. Chan also dismissed the notion that the year-old system was experience teething issues. “It ran all last year, and during the Olympics, with no problem,” he said. This entry was posted on November 5, 2010 at 4:28 pm and is filed under Uncategorized. You can follow any responses to this entry through the RSS 2.0 feed. You can leave a response, or trackback from your own site. Well, if anything it shows at the over reliance on efficient technologies leaves little margin of error. Manually driven trains could be stuck as well (e.g. signal failure) after all. Zweisystem replies: With LRT, a driver can proceed at reduced speed, through signals, in fact. most LRT/tram lines operate by line of sight. I live in London where we have constant delays due to signal failure, points failure, unavailability of staff, and strikes. And yet the tube is constantly full to capacity. The original article you quote from doesn’t provide much by way of detail; how long were these delays and has it only been the one week? Your driverless trains avoid staffing issues and from what I understand the system runs with over 95% of trains on time; Londoners would jump at that. A week’s worth of minor delays isn’t sufficient to write off a system that’s generally reliable.